“Will burnout destroy me as an effective, productive advocate? In times of dangerous uncertainty, as Brené Brown says, “vulnerability is our most accurate measure of courage.” We face messy, contradictory intersections where we must regain our footing and somehow take care of ourselves in the midst of struggling for a better world. We must speak out, take action, make a difference—yet can we remain passionate about a cause without being consumed by it? What habits can we cultivate to feel compassion for ourselves as well as others? Why does constructive willingness to self-nurture evoke such discomfort? Now the distinctive voice of social change activist Naomi Ortiz offers powerful, thoughtful, transformative insight into self-care. She weaves together personal experiences in class, race and disability advocacy into informative advice on dealing with the risks of burnout. 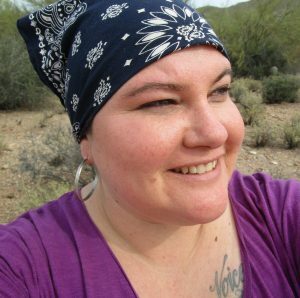 She brings wisdom drawn from her deep connection to the Sonoran Desert to guide us to live more wholehearted lives. The power of belonging is a catalyst that resonates throughout her stories. She offers her techniques with candor, helpful tips tested through big and small struggles, as tactics for those who would affect the world. Naomi Ortiz is a writer, poet, visual artist, facilitator, and the author of Sustaining Spirit: Self Care for Social Justice (Reclamation Press). She is grounded in social justice work through community anti-violence work, disability justice, and intersectional organizing within movements. Naomi is a nationally known writer, speaker and trainer on self-care, disability justice, and living in multiple worlds (intersectionality). She conducts workshops exploring self-care tools and strategies for diverse communities. Naomi has written for the Feminist Wire, VIDA, Poems and Numbers and contributed to the anthology, Resistance and Hope: Essays by Disabled People. She is a Disabled, Mestiza (Latina/ Indigenous/ White), raised in Latinx culture, living in the U.S./Mexico borderlands. 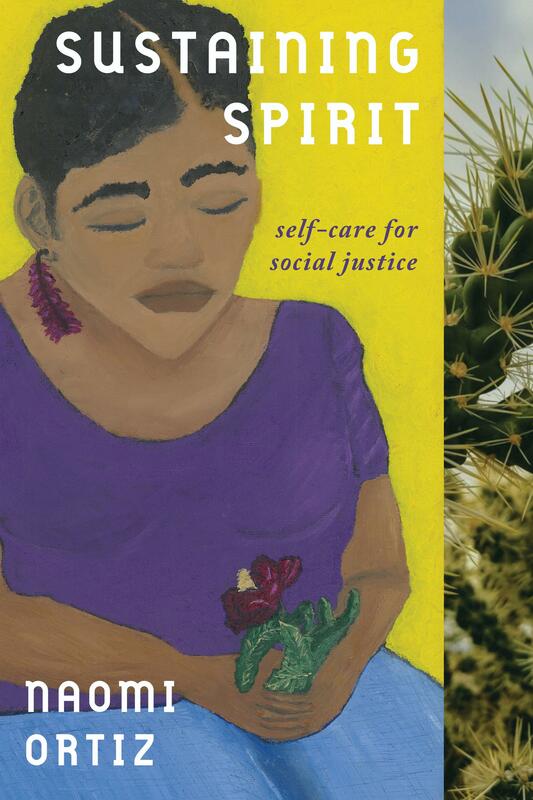 Naomi’s book, Sustaining Spirit shows us how to balance activism with self-care by guiding readers to sink into poetic metaphor and examine their relationship to self, community, and place.